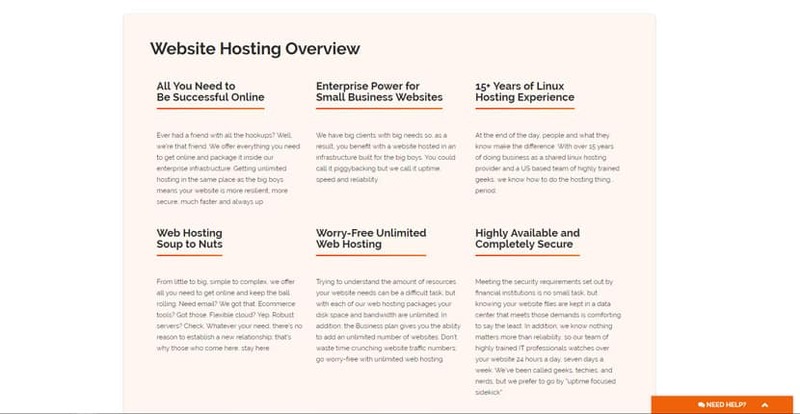 Midphase Review 2019: Is Midphase a Good Hosting? Established in 1998, Midphase is an American web hosting solutions provider that serves over 120,000 customers worldwide. Their hosting plans are competitively priced, aligning with what you’d typically expect from a web hosting company of their calibre. Midphase is a web hosting company headquartered in the United States with international offices in the U.K. and Ukraine. The veteran hosting provider has customers scattered across the globe, including in countries such as India, Canada, Brazil and Mexico. Midphase was founded in 1998 and for the past two decades has been focused on delivering exceptional hosting solutions through cutting-edge technology and with the backing of industry professionals. Today, they serve over 120,000 customers. This looks pretty good on the surface, but it’s not as great when you realize that their basic plan only gives you a single MySQL database and subdomain to work with. You get bumped up to three and five respectively with the Professional plan, but that’s still pretty limited if you’re working with multiple database-driven scripts. They also don’t include a website builder with their packages, though you can purchase this at an additional cost. I noticed that Midphase doesn’t offer any security apps as a standard feature in their hosting plans. Also, while their servers are very fast and usually report website loading times of under two seconds, their email hosting services are often problematic resulting in high bounce rates. This may prove to be a dealbreaker for any businesses with aggressive email marketing campaigns. Midphase’s plans are competitively-priced, aligning with what you’d typically expect for a web hosting company of their calibre. Their Starter and Primary WordPress plans are especially great value for what you pay. Their Personal and Professional Linux shared hosting plans are average, but the Business plan is a solid choice for growing businesses — particularly since they offer a free dedicated SSL certificate and IP address upon request. Midphase has a 30-day money back guarantee applicable to their shared, reseller, WordPress, and website builder packages. Note that if you got a free domain from them or if you purchased a dedicated IP address or SSL certificate, these are non-refundable. To get in touch with their customer support, you can use their toll-free number, submit a ticket via your client portal, send a message via their contact form, or start a live chat with them. The technical support team is available 24/7. Alternatively, Midphase also has a searchable knowledge base that can answer the most commonly asked questions. The fastest way to get help from Midphase is to send them a ticket. In my experience, they’re generally very quick and helpful with their responses. However, certain users have reported that their tech support is sometimes non-responsive or sends nonsensical, unhelpful replies. Overall, Midphase is a decent web hosting vendor with inexpensive plans. However, their customer service track record is spotty and may be cause for concern. Wondering how Midphase stacks up against other Web Hosting companies? Enter any other Web Hosting company and we will give you a side-by-side comparison.